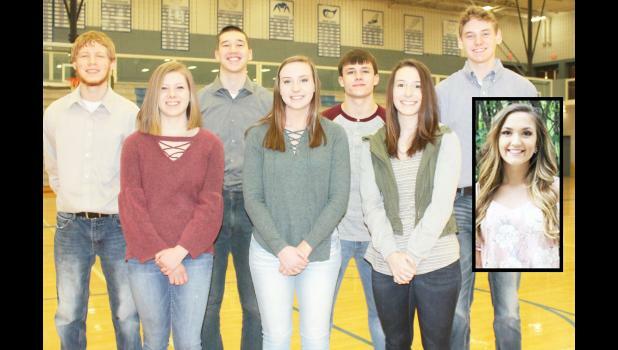 Two of these Holton High School seniors will be named King and Queen of Courts this Friday evening at halftime of the Wildcat varsity boys basketball game against Nemaha Central. Queen candidates include Ashlyn Robinson, Gracie Frakes, Sarah Lierz and Emma Reith. King candidates include Tracer Fox, Mason Chanay, Ace Eisenbarth and Brock Forrester.